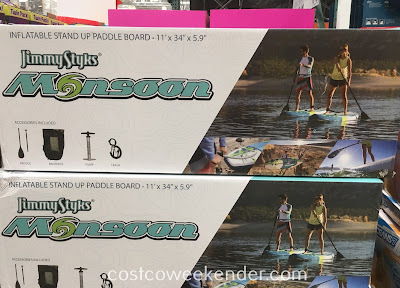 What can be more fun that enjoying the lake or open ocean on a paddle board? Not only does it get you out of the house, but it's good exercise too. 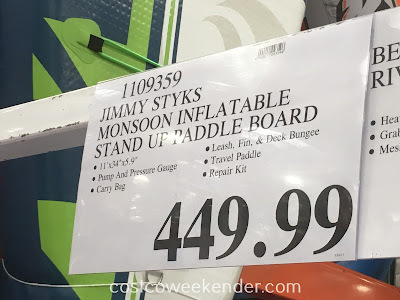 That is why the Jimmy Styks Monsoon Inflatable Stand Up Paddle Board is great to have for this summer since you can go out and play in the water when it's hot. 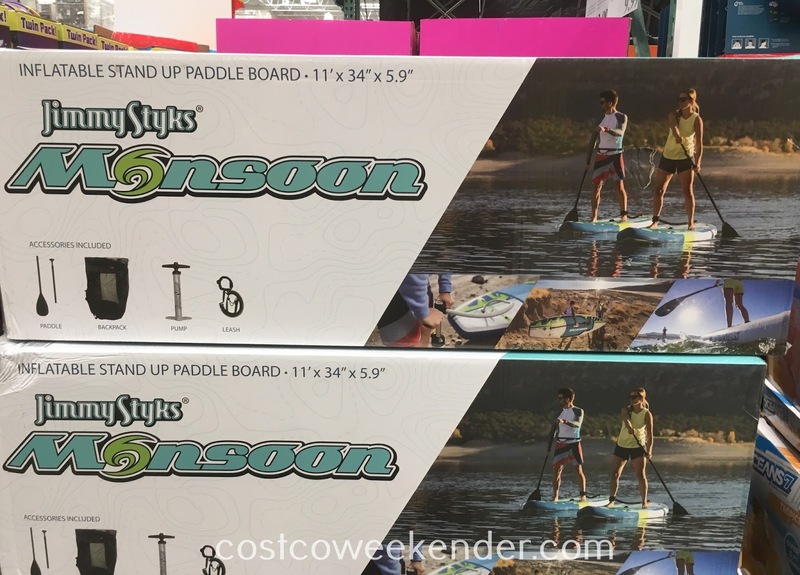 Paddle boarding isn't as difficult nor technical as surfing, so it's easier to take up the activity if you're looking for something new to learn. 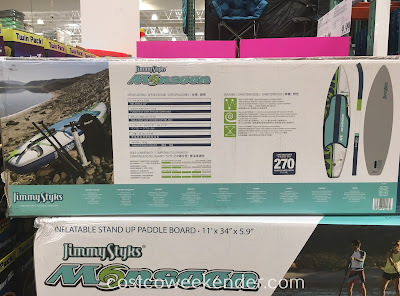 Not only that, but unlike conventional paddle boards, the Jimmy Styks Monsoon Inflatable Stand Up Paddle Board is inflatable making it easier to transport from your home to the beach or vice-versa. 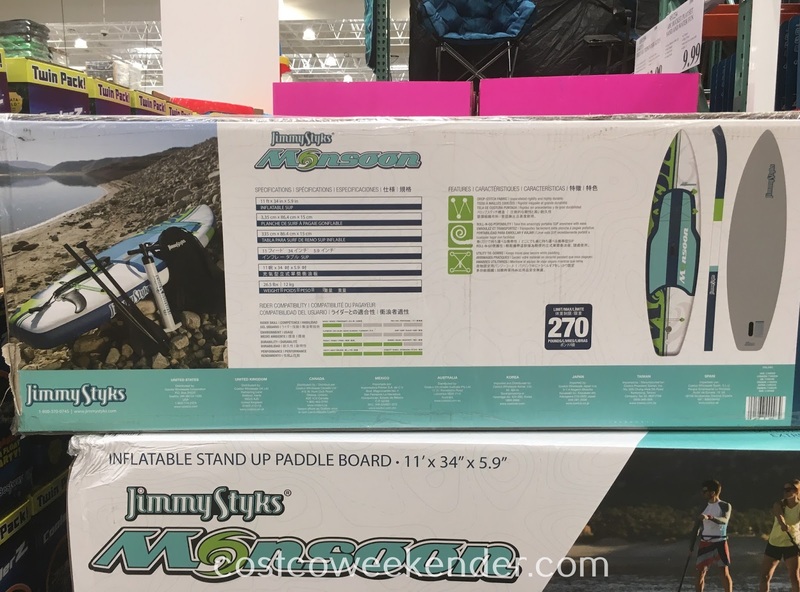 If you're looking for a new sport this summer that will get you outside and is relaxing, then getting the Jimmy Styks Monsoon Inflatable Stand Up Paddle Board will get you off to a good start. Dimensions: 11' x 34" x 5.9"